Loesje forms a writer’s collective, an NGO, an international organisation, a creative network, a contagious idea – many titles, call it what you want! 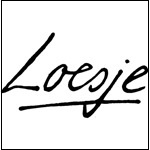 Loesje is an international free speech organisation. Its charter is to spread creativity, positive criticism, ideas, philosophical ponderings and thoughts on current events by way of short slogans on posters, signed by a fictional character, Loesje (a Dutch female name). Its mission is conquering the world with creativity and posters. Loesje texts are mostly positive and funny and at the same time critical, wanting to stimulate the viewers to see things from new perspectives and take action in their own lives. Loesje texts are not trying to tell you what to think; instead they often invite to many different interpretations. Freedom of opinion and expression are basic human rights, included in the Universal Declaration of Human Rights. In the last years, Loesje has conducted many successful international projects about Human Rights. In some countries where Loesje is present, freedom of speech is part of the constitution and commonly practised. In others, censorship is widespread and the possibilities for a normal citizen to spread opinions without persecution few. The key values of Loesje are: showing solidarity, being anti-authoritarian, being sexually free, showing initiative, being decisive, being A-religious and being independent. Ralph van Loesje represents the organisation in international writing workshops.